We are currently working on a very specific program designed for seniors. 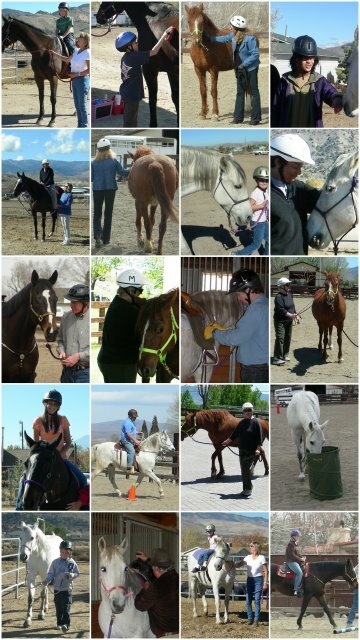 This small group program will include ground work, driving and mounted work for those physically able. Mature adults face many changes. Many struggle with feelings of isolation, cut off from the people and things they care about. They may be lonely or depressed, while still others are looking for new challenges and social opportunities. The good news is that horses offer something for everybody! 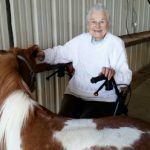 Working with horses, seniors will have fun while being challenged to learn about animal communication and herd behavior in a very unique way. Sessions include the opportunity for experiential exercises with the horses followed by staff/group processing. 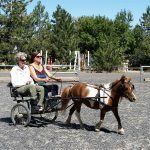 Clients learn grooming, leading and handling, groundwork training skills, and when physically appropriate, mounted work and if unable to ride, they will be able to learn ‘diving’ with our miniature horses! 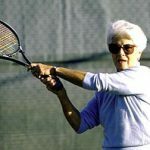 By adding physical, social, and mental stimulation to their routines, seniors’ lives become richer and healthier. And besides, you’ll have something new and exciting to talk about! 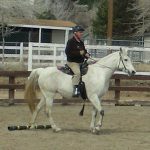 We offer both individual and small group work, focusing on gentle exercise, appreciation of time spent in a tranquil outdoor setting, as well as creation of new relationships, both human and horse! This is can be a very powerful experience.